How often have we heard the statement that “relationships are our greatest asset” without seeing behaviours that back it up? How people practically think about the value of relationships in business is critical to business success, according to a new report by Tomorrow’s Company, the London-based global business think tank. 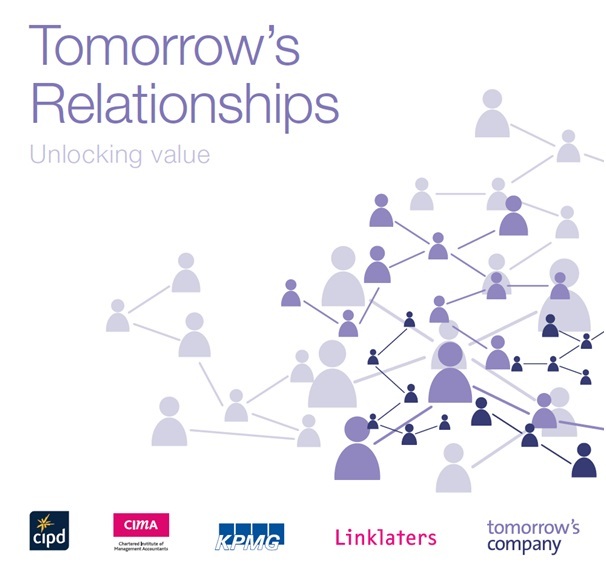 The Tomorrow’s Relationships: Unlocking value report – in collaboration with CIMA, the CIPD, KPMG, and Linklaters – challenges business and business leaders to put relationships at the heart of business success. The report addresses how to close the gap between what is said and what is done to build relationships that are resilient and robust to ensure lasting success for the business over the short, medium, and long term. It also goes beyond providing the case for boards and leadership teams by providing practical frameworks, tools, and guidance on how to achieve the full value of relationships in business and what to do next. The formal launch of the report will take place at Linklaters today (Wednesday 25th June 2014) led by Sir Mark Moody-Stuart, Chairman, Hermes Equity Ownership Services and Professor Mervyn E. King SC, Chairman, the International Integrated Reporting Council (IIRC) alongside Charles Tilley, Chief Executive, CIMA, Susannah Clements, Deputy Chief Executive, the CIPD, Vincent Neate, Head of Climate Change and Sustainability, KPMG, Matthew Bland, Corporate Partner, Linklaters, and Tony Manwaring, Chief Executive, Tomorrow’s Company. One of the most progressive developments in the last twenty or so years has been the development of coalitions of business and civil society to address specific environmental or social problems. To identify the key issues and develop the trust to build such coalitions means building relationships right across society, not just with the obvious partners. Business success now demands a ‘relational approach’ – stakeholder management and engagement have got us so far but are no longer fit for purpose. A relationship with another person cannot be a means to an end and a stakeholder cannot simply be an object. We need to go beyond treating people as things and numbers because the critical challenge we now face is how we create value together. reporting on the effectiveness of relationships. The report is based on dialogues, research, and case studies in collaboration with our members, partners and clients to inform a different understanding of the value of people in business – for their success and that of their businesses and the communities of which they are part. Business value goes beyond the numbers. A focus on relationships, in the context of the business model and how it creates sustainable value, helps support better integrated thinking and decision-making – leading to better governance, better performance management and better reporting: in short, better business. It’s great to be a part of this research. Relationships lie at the heart of business, but how much attention do we pay to the way that our organisations understand, develop, manage and assess them? This work argues that we can and should look at business relationships systematically. Doing so helps organisations create value sustainably and is vital for good governance. The relationship is the last driver of sustainable business value the business gurus have not really shone their light on. We have exhausted the possibilities of improving me or improving you. We have to get to grips with improving us. This report highlights the value of relationships in successful and sustainable business. In an M&A context, it has been often suggested that a large proportion of transactions is value destructive. Whether or not this is correct, it is clear that such transactions can put a wide variety of relationships under strain and almost always require new effective relationships to be formed quickly. This report, by providing useful tools to identify, measure and enhance relationships, will undoubtedly help practitioners involved in M&A processes address these issues. In the changed world of the 21st century, a company has to know the legitimate and reasonable needs, interests and expectations of its stakeholders in order to inform its strategy, short, medium and long term. With that acknowledged, management can develop strategy and the board can interrogate that strategy on a more informed basis. 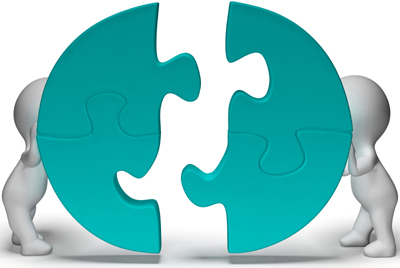 Further, the resources used by a company and the relationships with its stakeholders are interconnected and interdependent, both functionally and operationally. How the company makes its money impacts financially, socially and environmentally because business is at the junction of all three. Central to all this is the company’s relationship with its stakeholders as its stakeholders make up society which is the ultimate licensor of the company.